The Mixtec are an ancient people. Their true name is the nuu maalsavi: the people of the rain. They bowed, but did not break, under Aztec and then Spanish rule, finding sanctuary in the mountainous regions of what is now south-central Mexico. The Southeastern Guerrero Mixtec are an indigenous Mixtec group who maintain their pre-Columbian language and culture. Their primary language is Metlatónoc Mixtec, a tribal dialect within the Mixteca language. It can be a challenge to communicate them in Spanish, as it is not their heart language. Some of them do not read or write at all – in Spanish or any other language, as Mixteco is a written language, but schools in Mexico do not teach it. Generally, the children and teenagers speak English better than Spanish and are the best English speakers in the community. The primary religion practiced by the Southeastern Guerrero Mixtec is a form of Cultural Catholicism layered over their traditional religion, and is rooted in the reverence of santos (who protect, defeat evil and grant prayers), their ancestors (who are guardians of the traditional Mixtec ways) and spirits in nature. Their religion is expressed through traditional fiestas, rites, and customs. The Mixtec Community often keeps to itself, and parents frequently teach their children to interact with outsiders as little as possible. The culture of the Southeastern Guerrero Mixtec is both hierarchical and patriarchal, and immigrants to the USA frequently maintain very strong cultural, family, and financial ties to their communities of origin. They come from small, rural communities and they are intimidated by life in the city, and even by interaction with the larger Latino community, from whom they suffer ridicule because of their perceived lack of education and language skills. 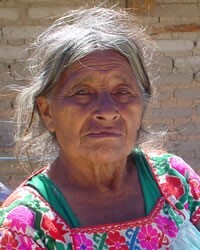 Many Southeastern Guerrero Mixtec live in tremendous poverty and need. This people group is one of the largest unreached people groups in all of the Americas. Pray for God to send His Spirit to draw Southeastern Guerrero Mixtec to Christ. Pray for more workers for the harvest, both for the Southeastern Guerrero Mixtec in the United States, as well as those in Mexico.